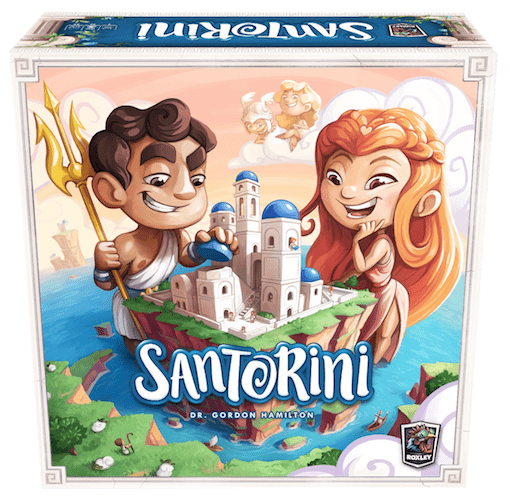 Board Game: “Santorini” is an easy-to-learn, fast-to-play board game. It is ranked #1 family game on boardgamegeek.com. I play a 2×4 version of Santorini with K-2 students where they are their own Workers – standing on styrofoam blocks and building towers around themselves. It is equally suited for older students and adults who will enjoy taking the role of a powerful god or goddess. 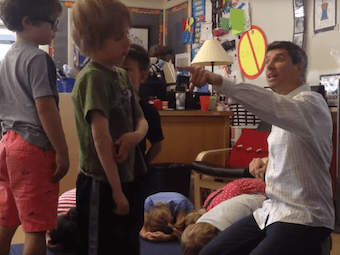 Kindergarten: “Rock” is a five minute filler game for students with too much energy. Every student curls up in a rock shape on the floor. They each secretly choose a number. The student who chooses the lowest number that nobody else chose is the winner. 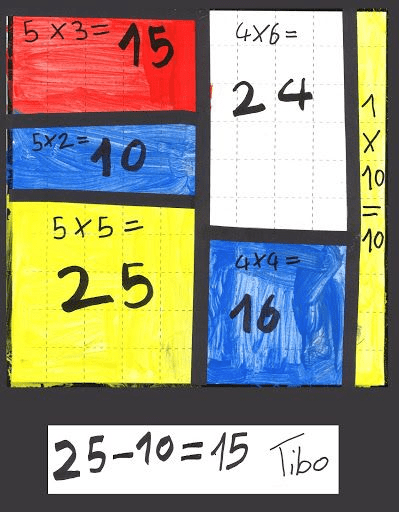 As well as being an awesome game to provide number sense, it also gives students a quick experience of failure. There is no time for complaining because the next game starts immediately. Grade 1: “The Cookie Monster Problem” is a deep problem in which students try to empty the cookies from cookie cars as quickly as possible. 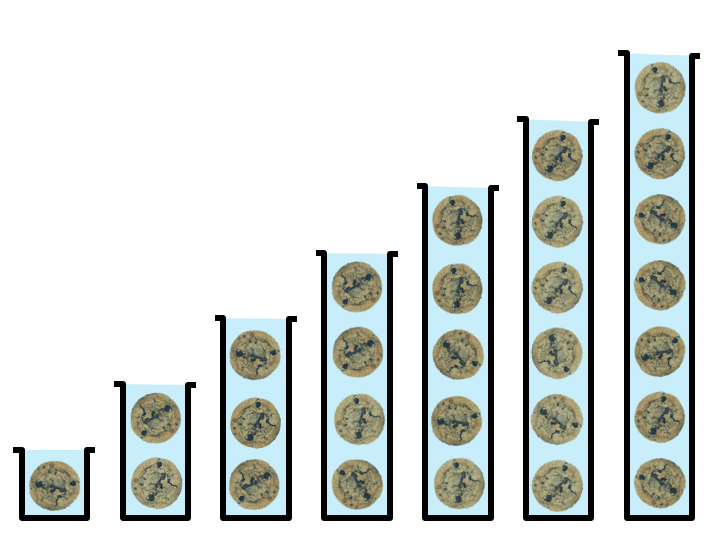 Each turn they declare a number and take exactly that many cookies from as many cookie monster jars as they wish. This puzzle is by my mentor, Richard Guy, in his 2002 book “The Inquisitive Problem Solver.” Richard is turning 100 years old in 2016. His ideas still have zip. 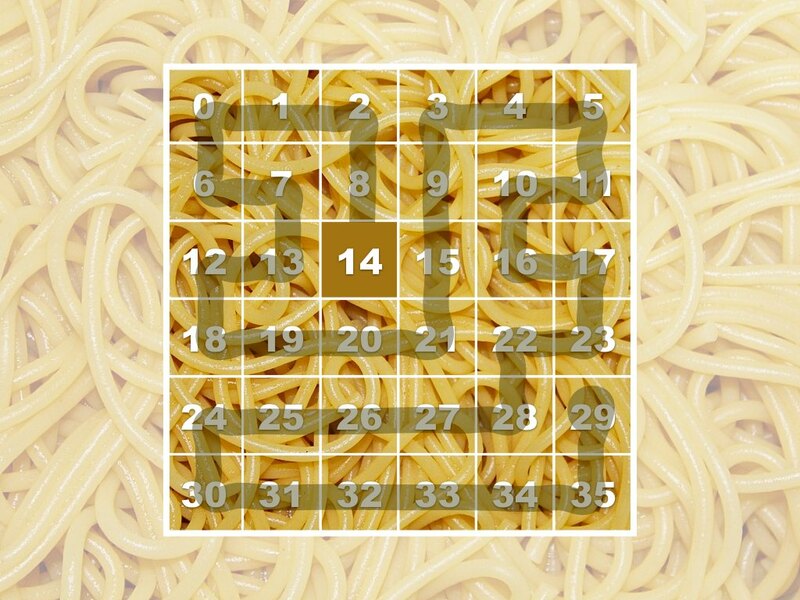 Grade 2: “Uncut Spaghetti” is a pattern-rich puzzle in which students repeatedly find the smallest among a few numbers. 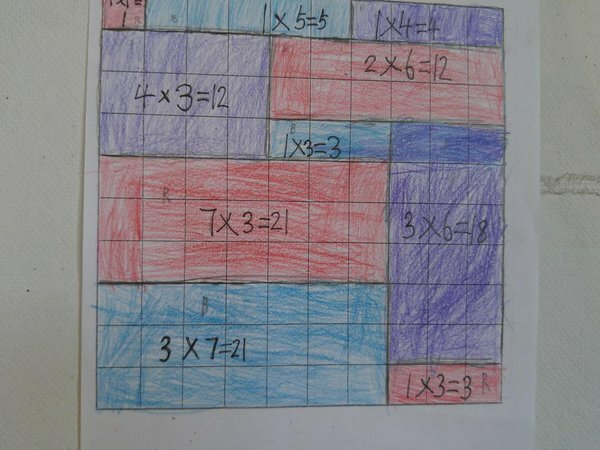 Its a MathPickle original and we’re very happy with it as a pattern identification activity into higher grades. 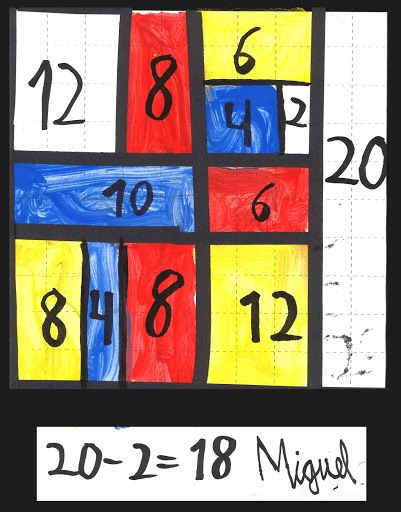 Grade 3: “Tree Kangaroo Hopscotch” is a skip counting mini-competition in which students skip count up branches to make their largest number as small as possible with no duplicates. Its a MathPickle original. Mini-competitions are difficult to optimally solve so instead of providing the best-possible solution (which we don’t have) we just enjoy the challenge of getting as low a score as possible. 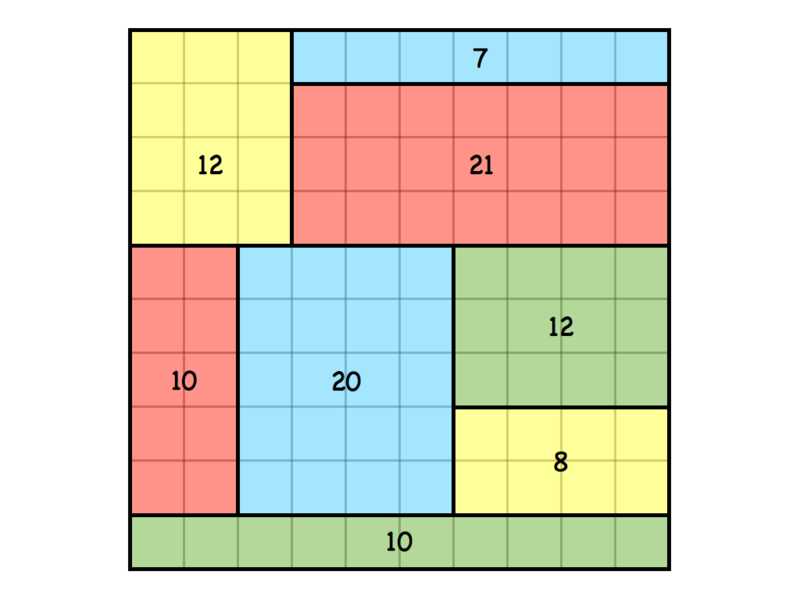 Grade 4: “Rainbow Squares” is a deep puzzle that has students ignorantly approach a beautiful diagram to try to determine the rules that made it. They find out that the diagram was a failure (by me) and then try to solve a much smaller version of the puzzle – (they choose how small). 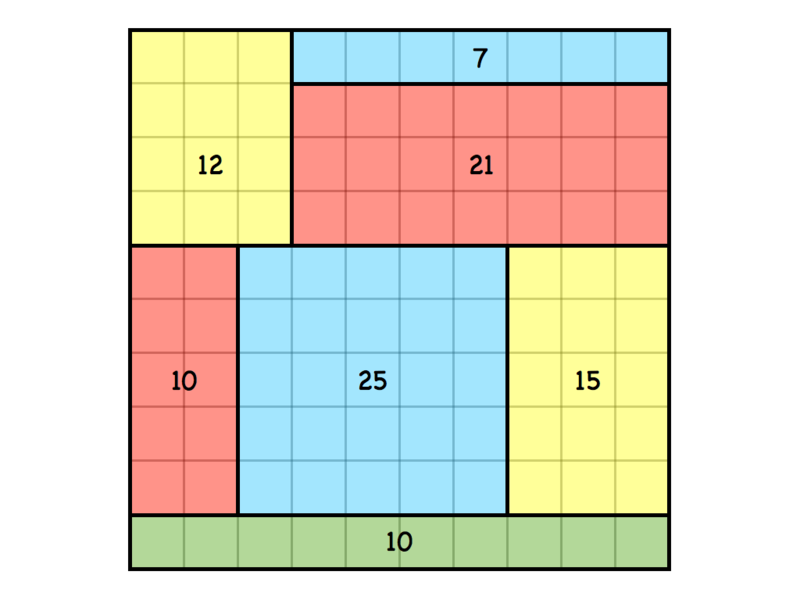 A side effect of this rich puzzling is that the children walk away with a knowledge of square numbers. Henri Picciotto, Kiran Kedlaya, and I won the George Pólya Award by the Mathematics Association of America in August 2016 for it. 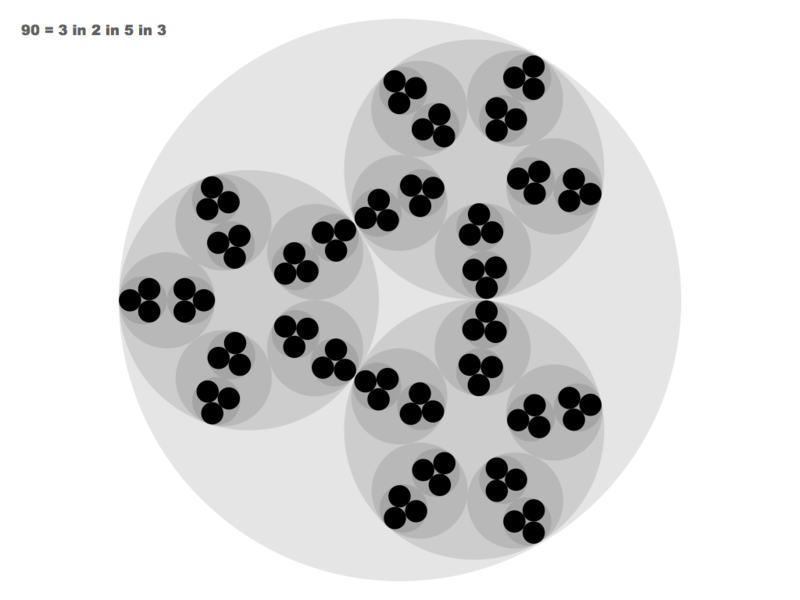 Grade 5: “Fractal Multiplication” explores multiplication as a scientist would explore a strange new planet. 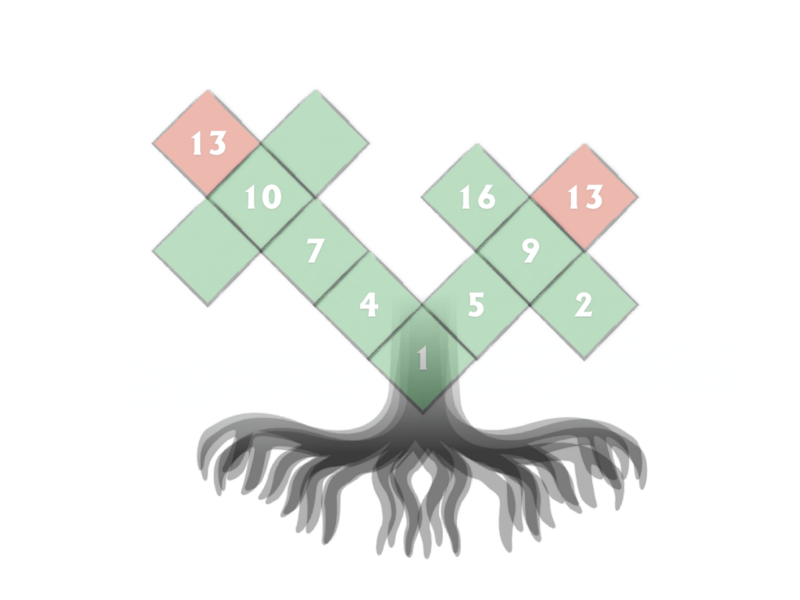 Unlike regular multiplication in which the order does not matter, in fractal multiplication, the order matters in a way that gives children deep insight into numbers. Practice the scientific method in your math classroom! 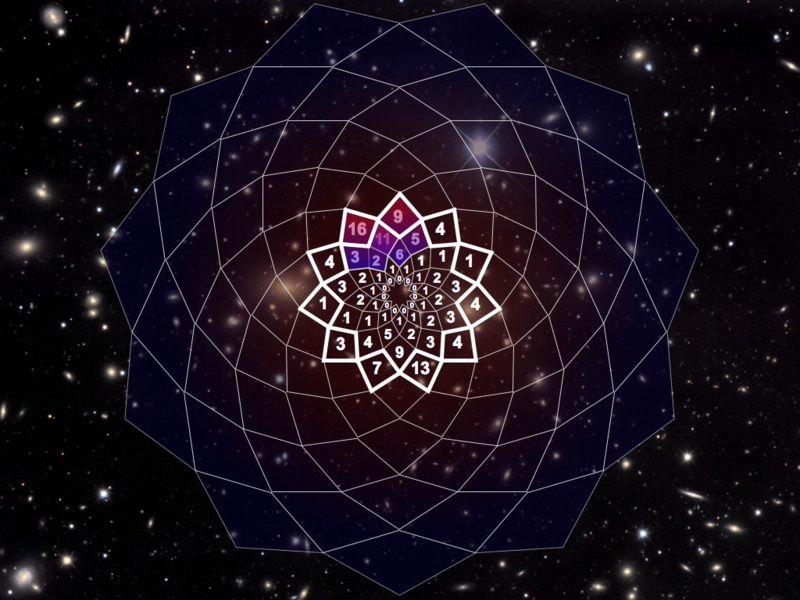 Grade 6: “Wormhole” is not a typical MathPickle activity because the student experience can be a bit dry, but keep them working and they will discover an unexpectedly magical connection between geometry, multiplication and division. 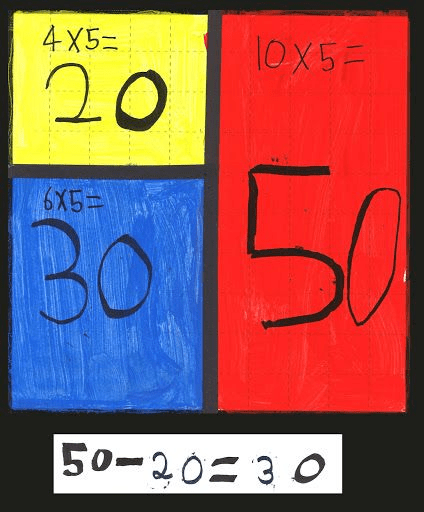 Use it to replace division worksheets… if an error is made – a fraction will pop up. Slower students should work on a 9-wormhole. Faster children should experiment with an 11-wormhole. Wormhole is based on work by mathematicians Harold Coxeter and John Conway. 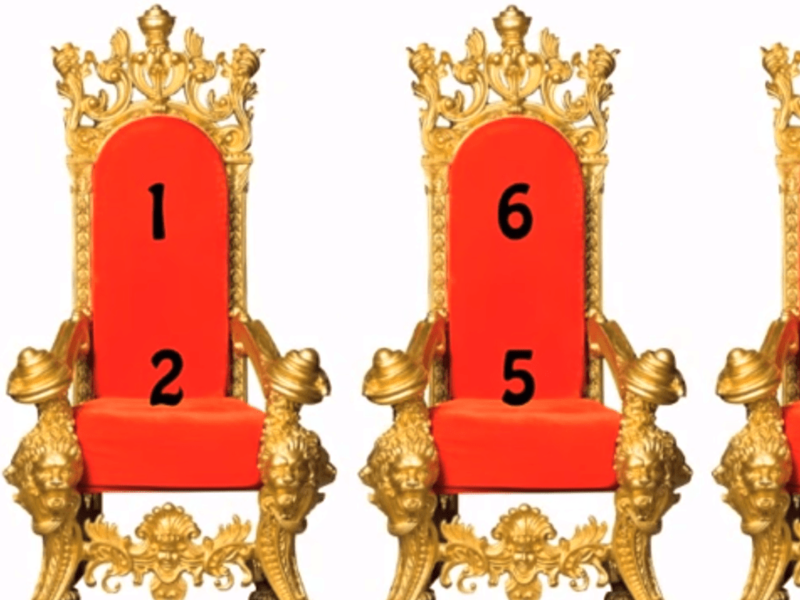 Grade 7: “Unsolved Thrones” has students comparing and subtracting fractions with a fun backdrop of squabbling heirs (all of whom happen to be in your class) to the royal throne. It was MathPickle’s first puzzle to get into the New York Times. 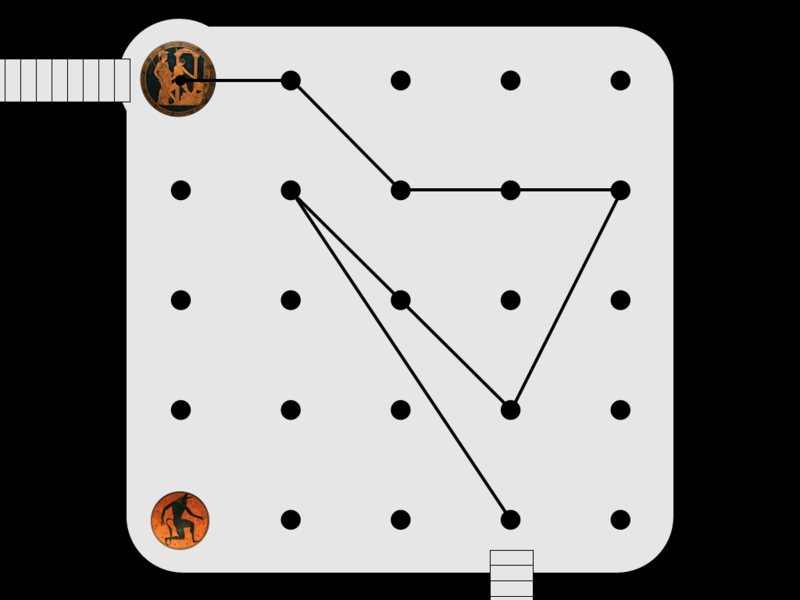 Grade 8: “Minotaur gores Pythagoras” has students winding their way through a labyrinth colonnade as they try to find the non-intersecting pathway with the most steps. The steps must steadily increase in length making matters much more challenging. 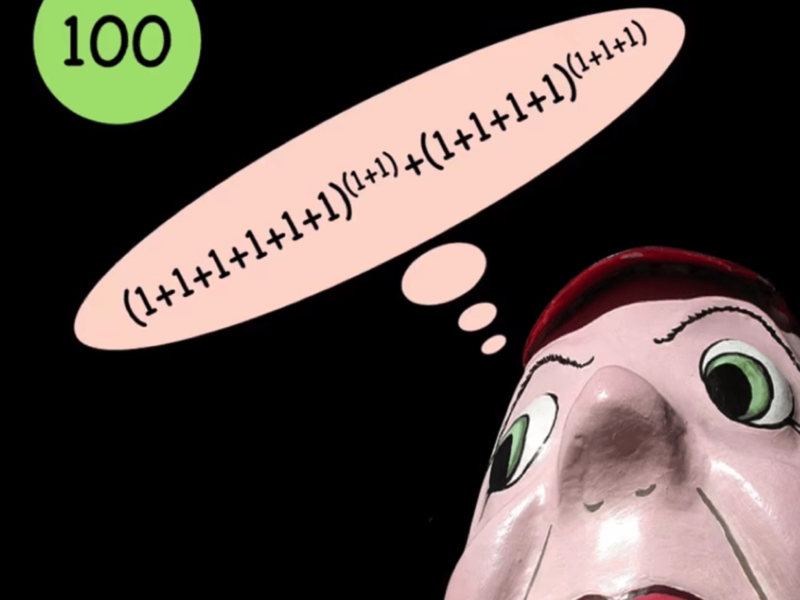 This is one of the best mini-competitions in the MathPickle repertoire. 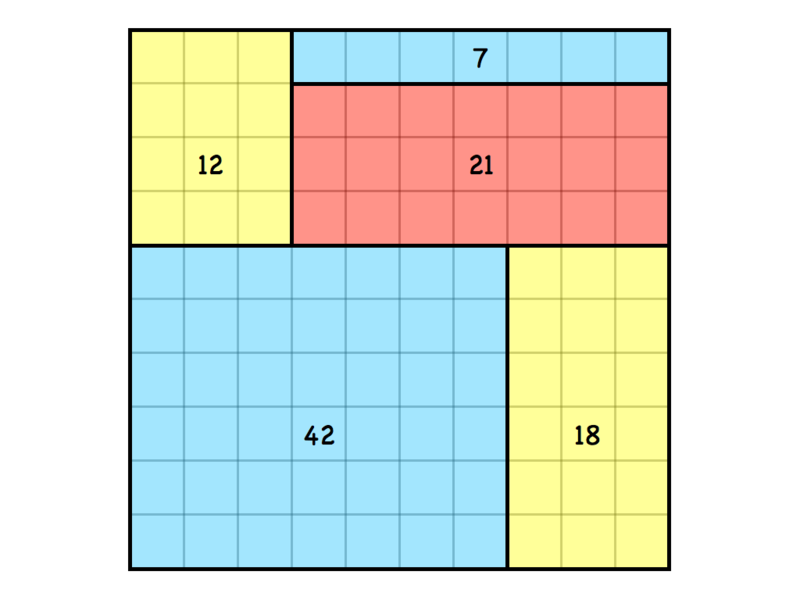 We do not know the best answers except for small squares. 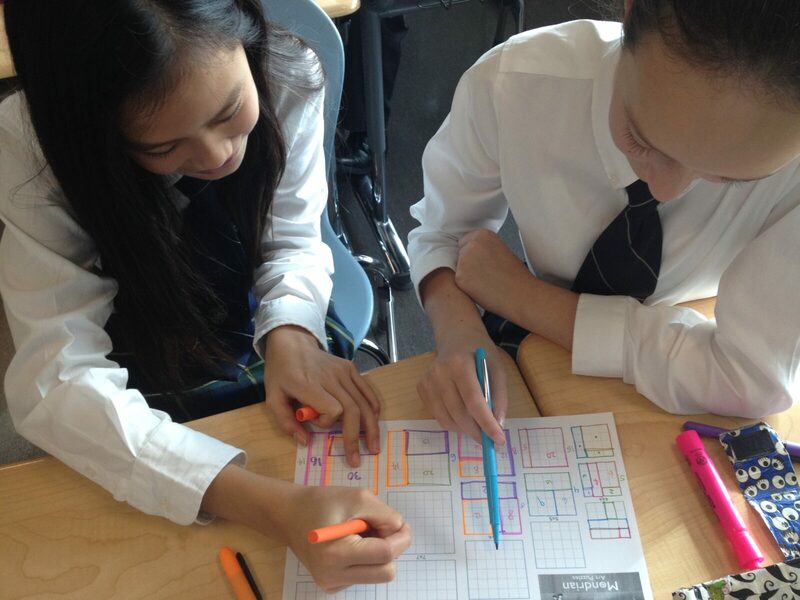 Grade 9: “Using least 1s” is a mini-competition to practice exponents. It is a mini-competition because the optimal solutions are not known once you get beyond about a hundred. 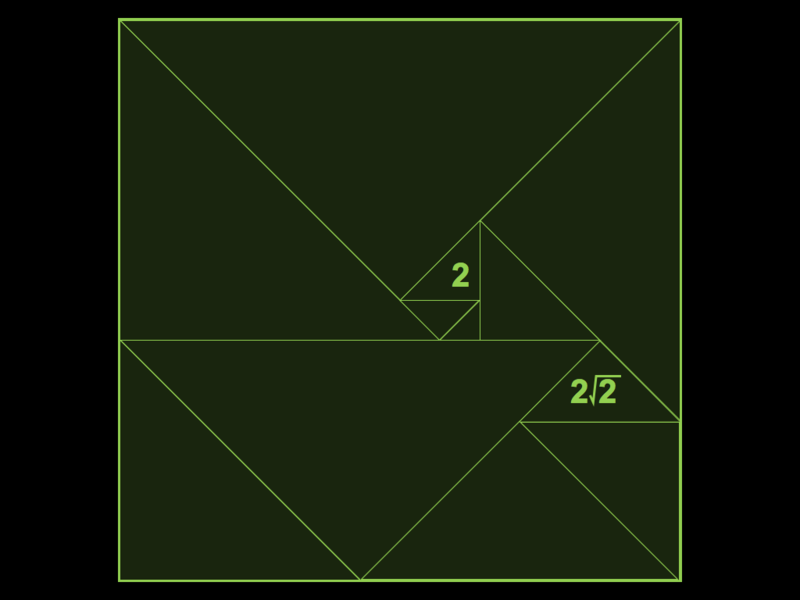 Grade 10: “Squares built of right triangles” replaces introductory worksheets on square roots. This puzzle only uses square root two, but uses it with a beautiful back drop of a tough puzzle: How can you tile a square with right triangles – all of different sizes? 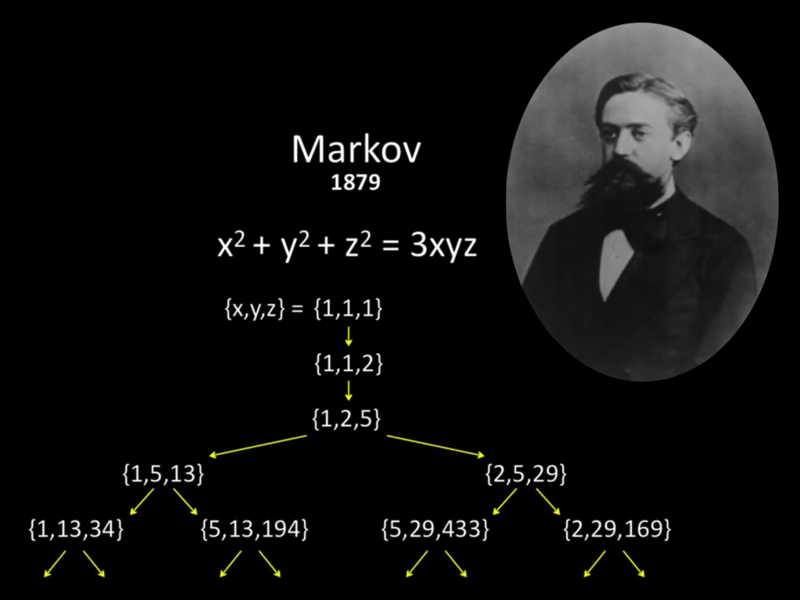 Grade 11: “Algebra Exercises” – especially the rewarding last exercise by Markov in 1879 – is essential for students playing with the quadratic formula. 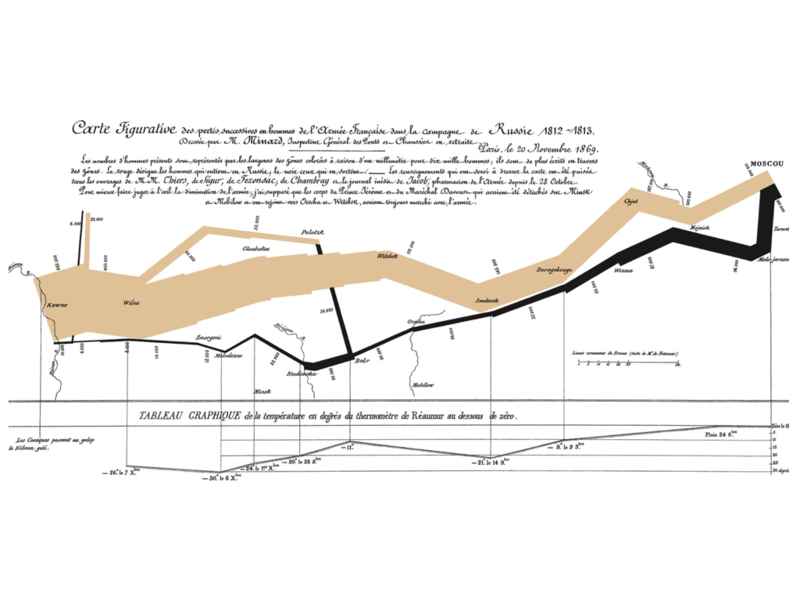 Grade 12: “Historic Maps” reminds us that the presentation of data is critical in trying to either tell a story or reveal the truth. 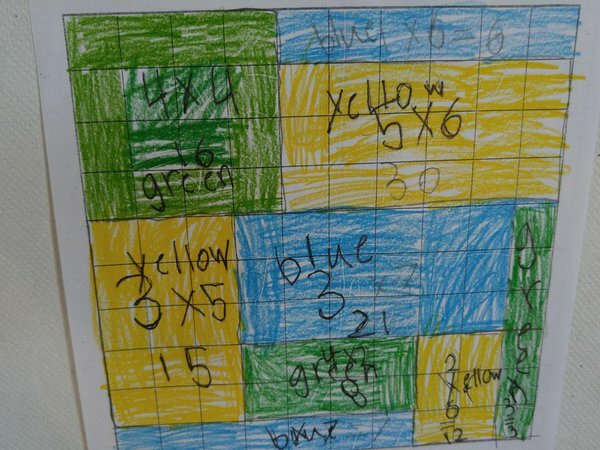 Math wasn’t worksheets and drill; it was beautiful and colorful, fun and dynamic. One of the best features of your puzzles is how they engage a wide spectrum of learners, something that is difficult for teachers. 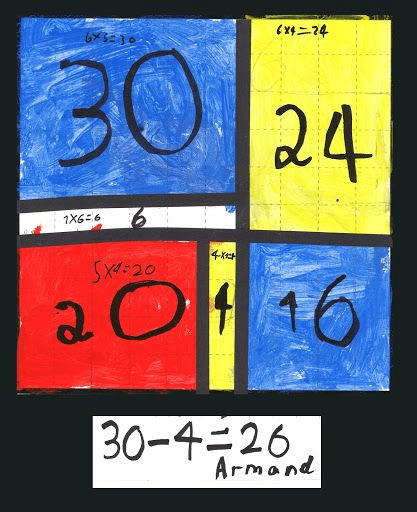 Your math puzzles are remarkable and students enjoy and learn from them regardless of their mathematical understanding. This is as close to a “silver bullet” as I’ve seen. 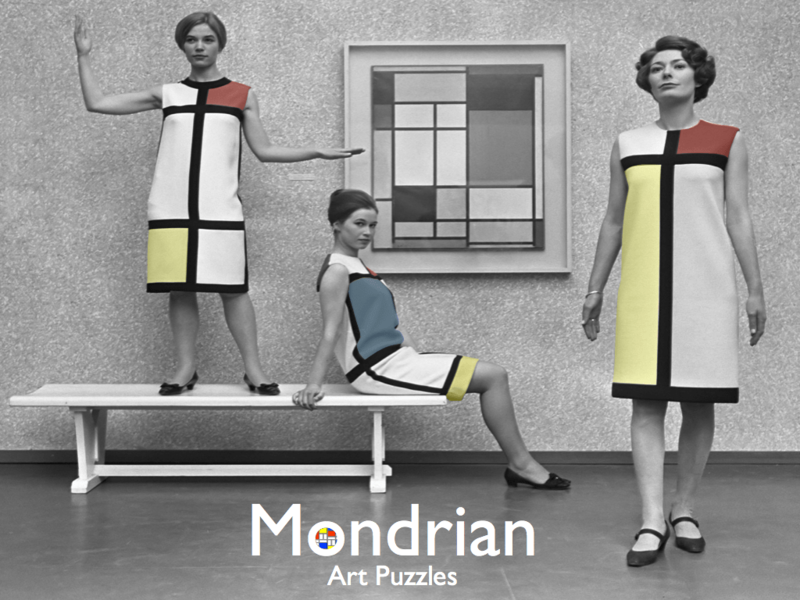 Mondrian Art Puzzles give elementary students curricular practice at multiplication with a backdrop of deep problem solving. 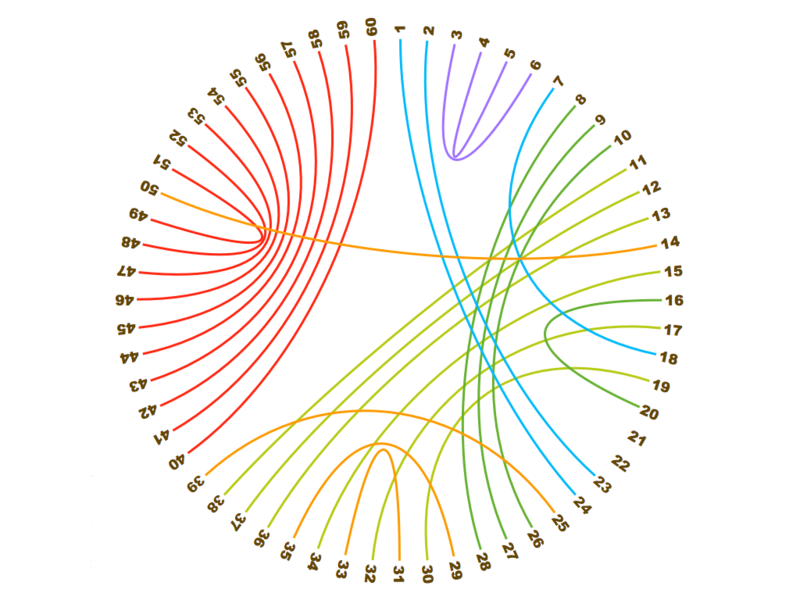 Solutions also look beautiful which gets artistic students engaged. Click here to learn more.